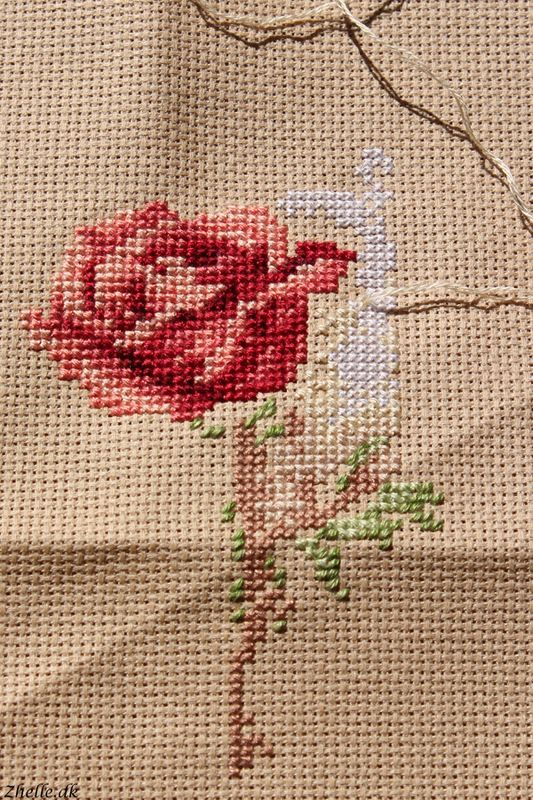 I'm back to show you a bit more progress on the single rose by Dimensions. I have finished the rose head and I have started on the background. I am much more happy with the thread than I was last time I updated the blog. Last time I had had to frog a lot of stitches and was a little bit grumpy with it all. 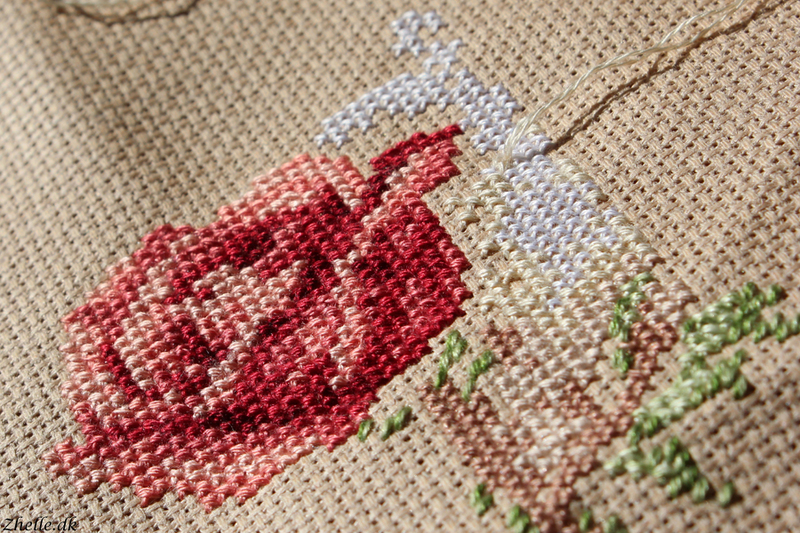 I must say that a bit of distance from it and then quite a bit of stitching has helped on my mood with the kit! I adore the colours used in it so far. It is such a pretty kit and now when I've gotten used to check what sort of stitches I am dealing with I am loving the stitch. I am looking forward to show you more of this!